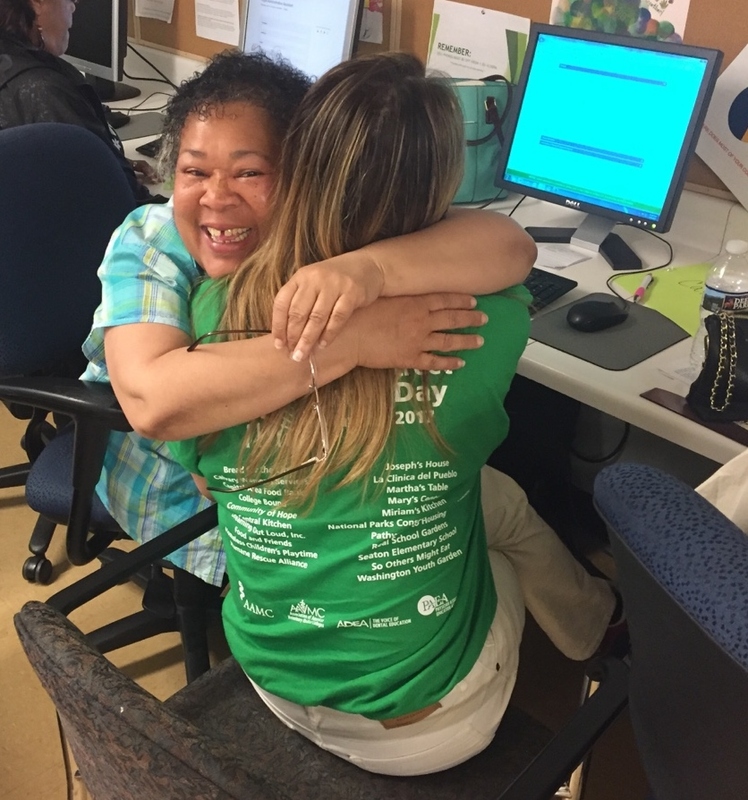 in Calvary’s transitional and permanent housing programs to employers in the community. 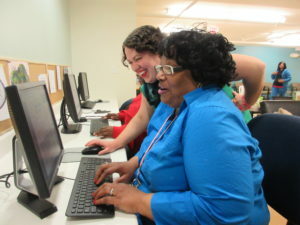 The Step Up DC Job Lead Facilitator allows 4-6 participants to access the computers on weekday mornings. If time allows, the Step Up DC Job Lead Facilitator may be asked to do light administrative work in support of the Step Up DC Program. Job Lead Facilitators should expect to monitor the computer lab while working one-on-one with clients who need help searching and applying for jobs. These volunteers should be patient and respectful, and have enough computer experience to log the residents onto the machines, monitor that the activities are appropriate, and answer any questions that may arise in regards to best job searching practices and technology. Job Lead Facilitators are expected to make an ongoing commitment to come from 9am – 12pm once a week for six weeks (with the option to extend based on the volunteer’s availability). Interested in empowering women to gain employment?